The year-long program culminated with a capstone project, involving hands-on data collection and analysis in a region disproportionately affected by a public health issue. This year’s students fulfilled project requirements in Belize, Gambia, India, Kenya, Uganda, Peru, Mexico, Ecuador, Ethiopia, Malaysia, and the United States. To kick off Saturday’s commencement festivities, an annual Master of Science in Global Health Art + Science Fair took place Friday, July 27, where students showcased their research projects to family, friends, and colleagues. Commencement began at 10 a.m. in Washington Hall at the University of Notre Dame. Gary Newton, director of policy at Whole Child International and adjunct professor at Georgetown University, presented the commencement address. “For all of you on the cusp of great careers in global and public health, I hope and pray that you use your leadership, wisdom, and wherewithal to…ensure vulnerable children enjoy the health, rights, and opportunities they are due – and which they require – to thrive and contribute a full measure of talent to family, community, and nation,” Newton said in conclusion. The Master of Science in Global Health graduates are now pursuing a variety of opportunities, both in further graduate health studies and the global health workforce. These endeavors include joining the Biological Sciences PhD program at the University of Notre Dame, completing a Global Health internship with HELP International in Nepal, volunteering for the Peace Corps, and working on WASH programming with Catholic Medical Mission Board in Peru. Other students plan to attend medical school. The Master of Science in Global Health program is a 12-month, science-centric academic program that arms students with the knowledge, tools, and experience to be part of the solution to the global health crisis. The rigorous curriculum includes classroom training and experiential learning to prepare students for improving human health around the world, especially in poor and underserved populations. After two semesters of coursework on campus, students complete a six- to eight-week field experience in a resource-poor location. Upon their return, students present capstone projects to summarize their research collection process and findings. This scholarly report includes original- or literature-based research with which students connect classroom science-centric training, survey research, and mathematical modeling to create recommendations for ameliorating their global health concerns of focus. The Eck Institute for Global Health is a university-wide enterprise that recognizes health as a fundamental human right and endeavors to promote research, training, and service to advance health standards for all people, especially people in low- and middle-income countries who are disproportionately impacted by preventable diseases. 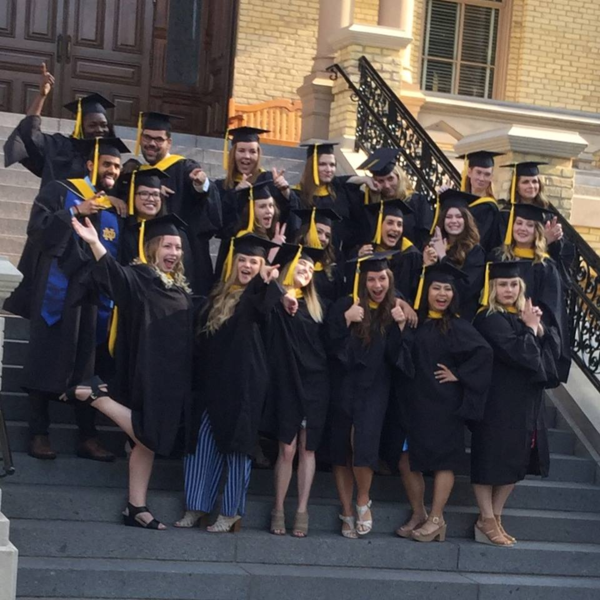 For more information about the University of Notre Dame’s Master of Science in Global Health degree program, click here. Originally published by Sophia Raymond at globalhealth.nd.edu on August 06, 2018.